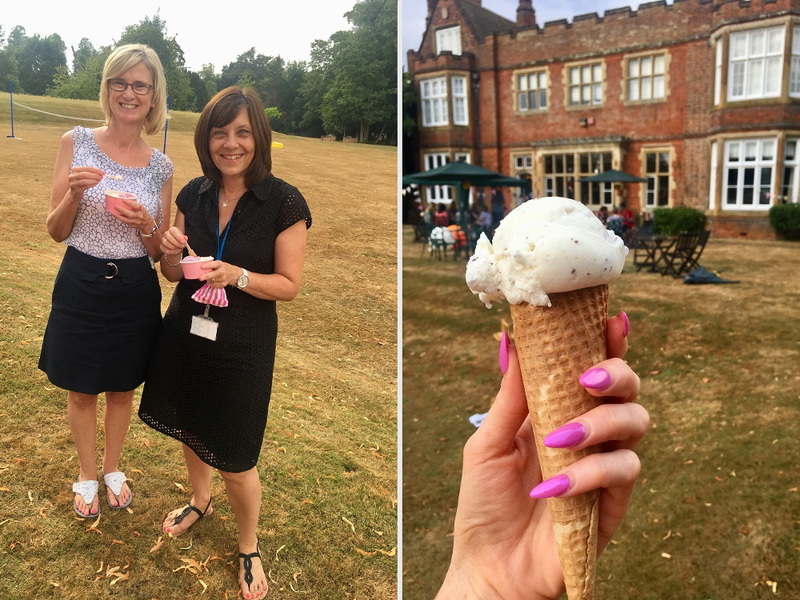 Bourn Hall staff held a 1970s themed party to celebrate the 40th Anniversary of IVF, in the grounds of Bourn Hall on Friday 27 July. 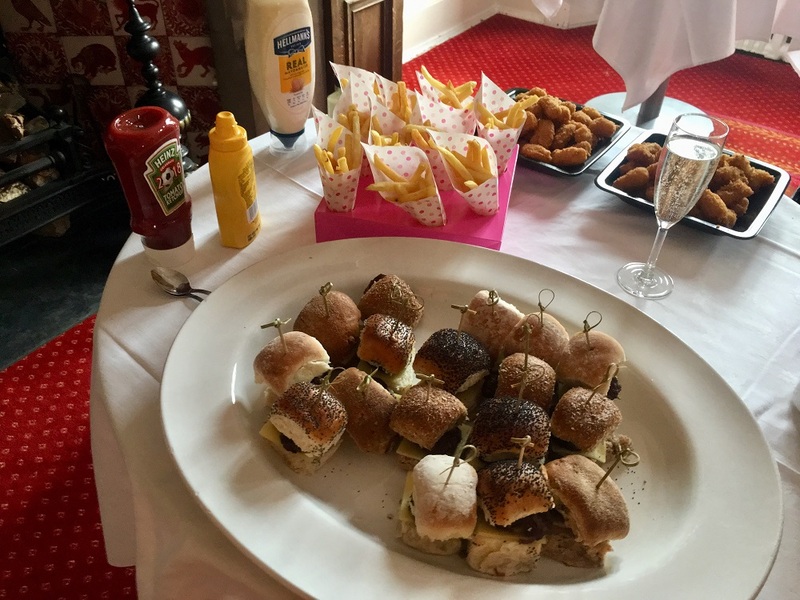 There was 1970s themed food including sausage rolls, devilled eggs, pineapple and cheese on sticks, scampi and chips and mini black forest gateaus. 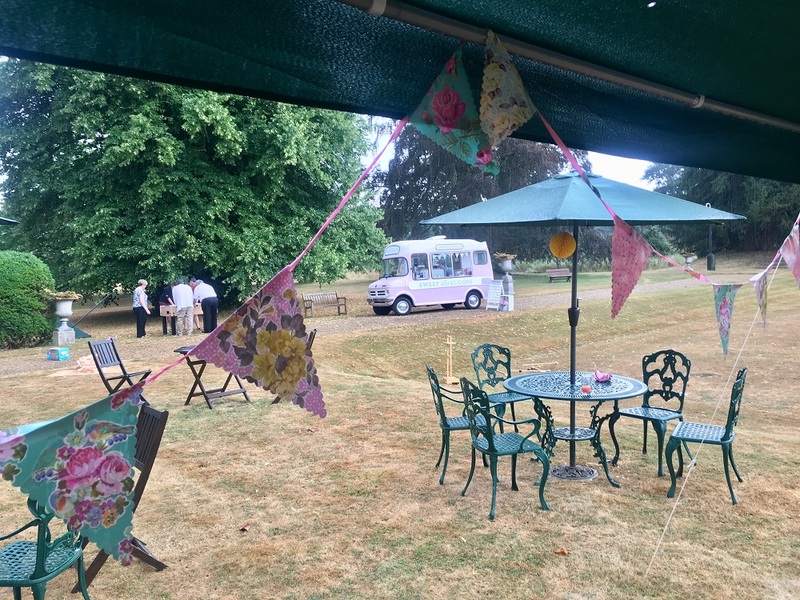 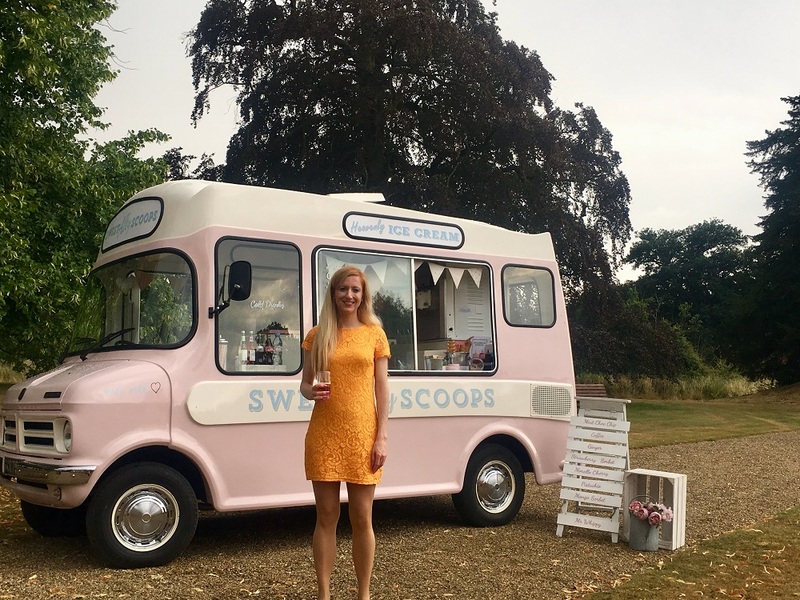 Everyone enjoyed the 1973 Bedford vintage ice cream van with ice creams and sorbets galore including traditional Mr Whippy cones complete with flakes and sprinkles (thanks to Ally from “Sweet Ally Scoops“). 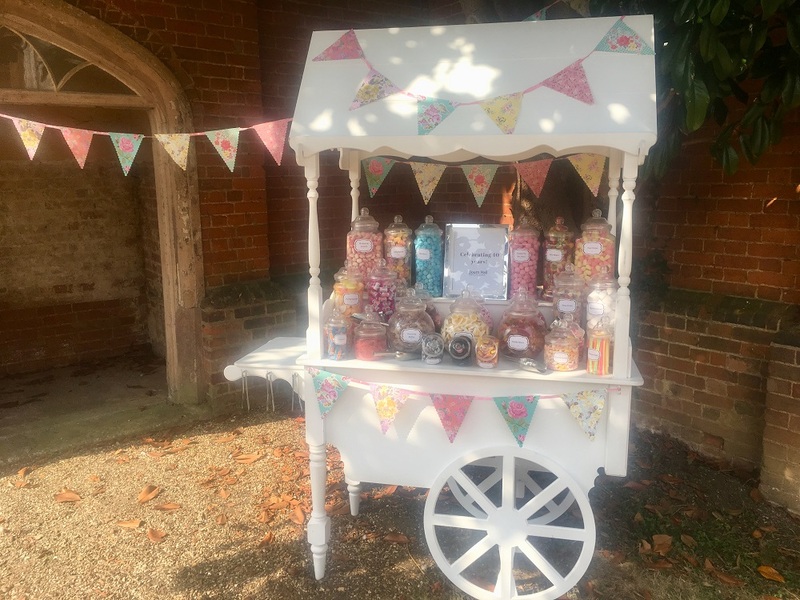 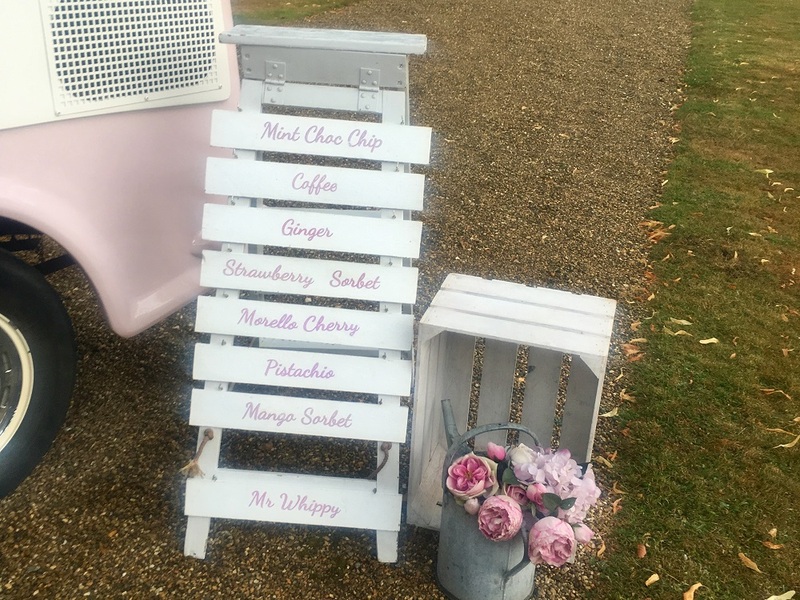 We also had a 1970s themed sweetie cart offering a huge selection of confectionery such as flying saucers, rhubarb and custards, bon bons and jelly babies (many thanks to the lovely ladies at “Oh-So-Delicious Candy cart“). 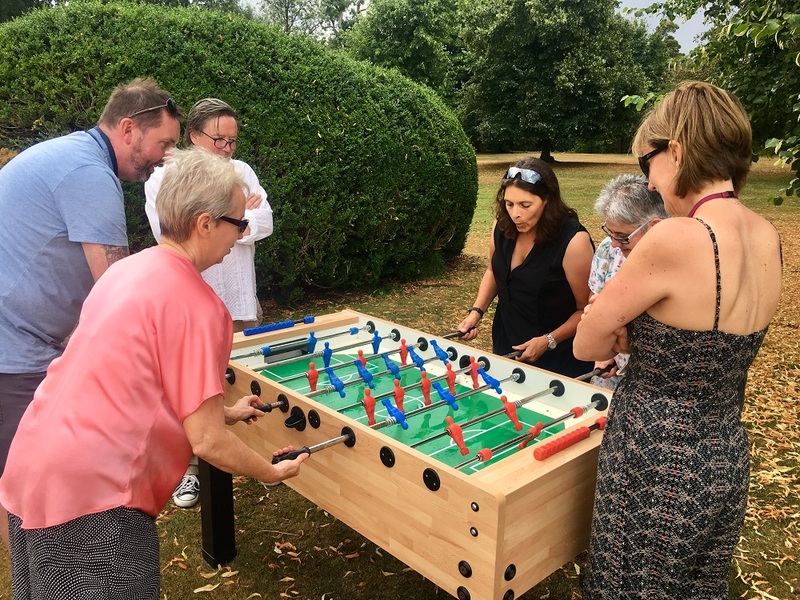 With our 1970s playlist in the background, and 1970s bunting all around we enjoyed traditional games such as table football, space hopper races, croquet and giant Jenga! 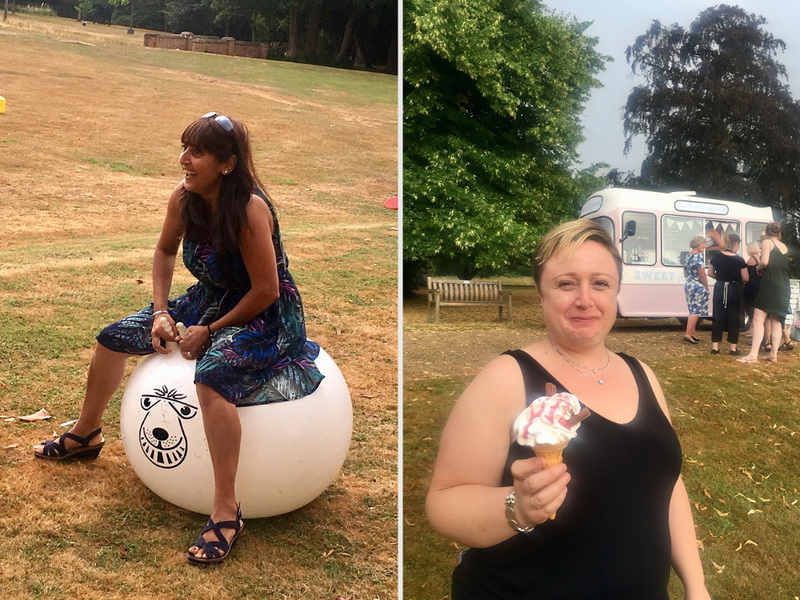 A good time was had by all in spite of several downpours and thunderbolts after weeks on end of scorching sunshine! 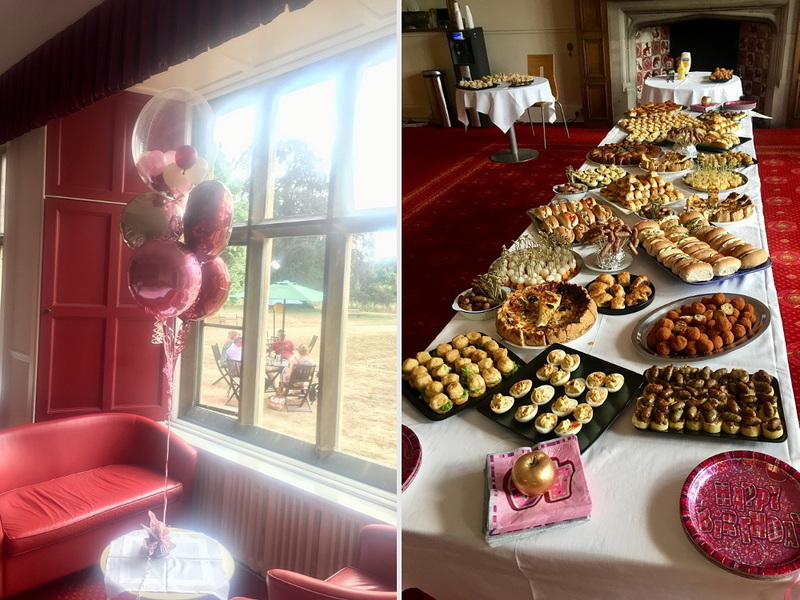 This wasn’t our only party we held in celebration of IVF – we had a 40th birthday celebration for Louise Brown, the world’s first IVF baby, earlier in the month; see more here. 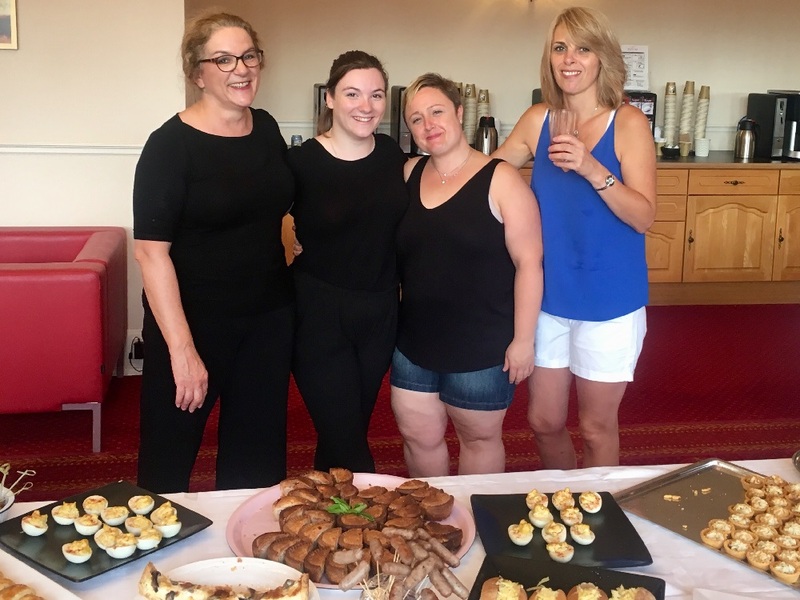 If you are interested in joining our family, take a look at our current vacancies.